Smart HD Optics gave us a new way enjoy our shooting and hunting experiences. Crisp HD images with a load of Smart features and an ability to use day or night defined the Smart HD Optics. Today, ATN is proud to deliver the next generation in innovation. Ultra HD Optics offers you image quality never before seen in digital optics. 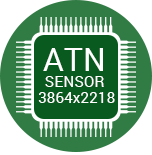 ATN’s new 4K “True Color” Sensor is capable of capturing crisp clear images at the furthest ranges with increased color resolution and smooth gradations from darkness to light. 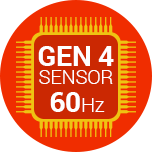 All 4th Gen Optics have been redesigned to meet strict 600 lp/mm specifications to match our 4K sensor per­formance. 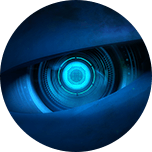 The new Dual Core Processor that drivers our core allows for faster response, higher FPS rate, better streaming, and the use of a multitude of new image processing techniques.